Treatment:A cyst appeared in 2008 on the left shoulder. It was removed in an operation in Sivamani hospital, Usilampatii. 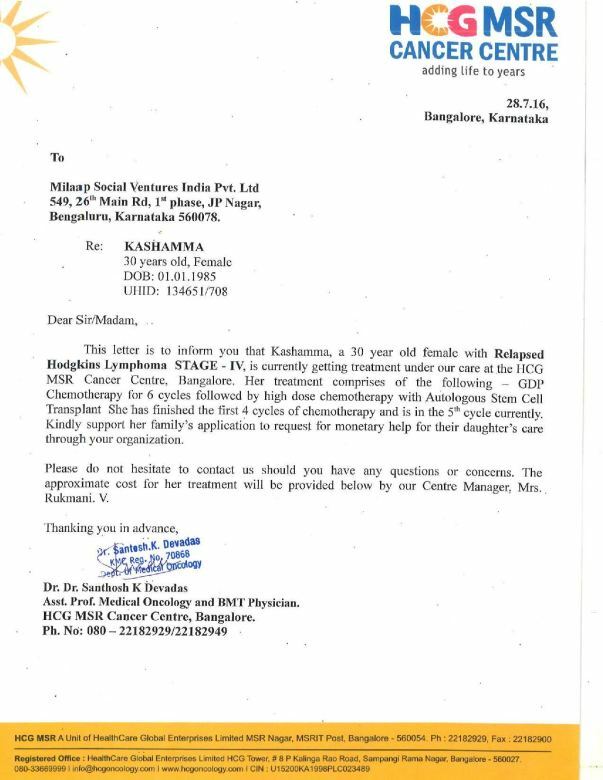 Kashamma was referred to Manipal Hospital for tests where the exact condition was ascertained. In 2011, the cysts repeated in the shoulder and she visited the doctor again. 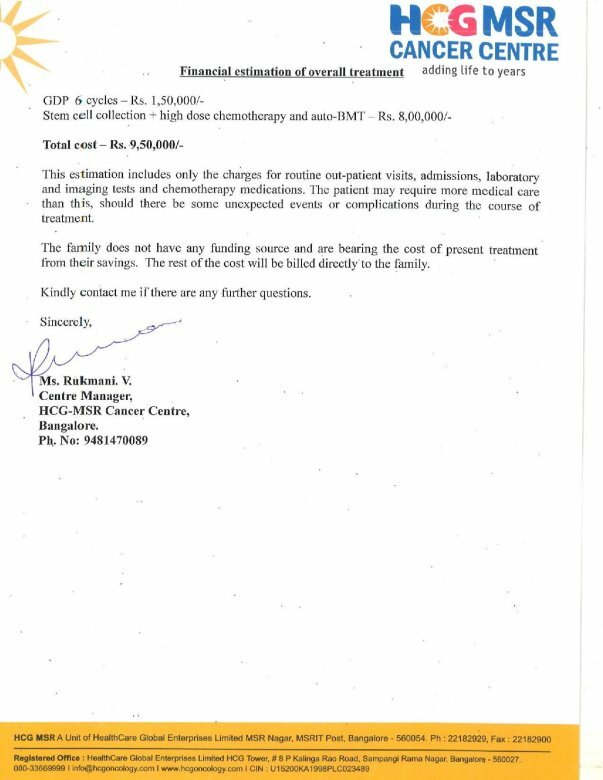 With no funds, they didn't carry out any further treatment. She was recently referred to MS Ramaiah Hospital when the condition worsened. 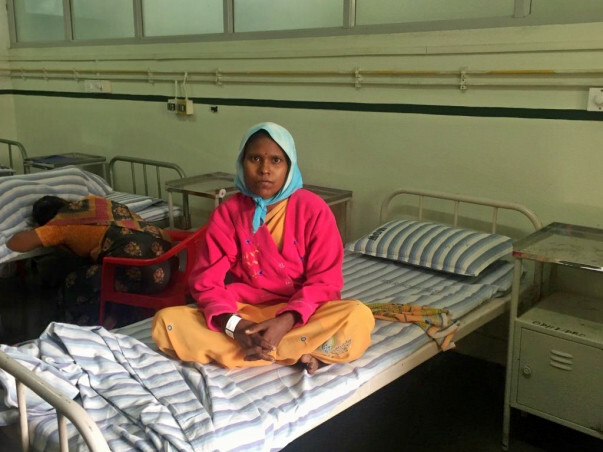 She is now admitted to the General ward in the Department of Oncology, where she is awaiting surgery. The procedure is expected to be carried out this weekend. Finances:Between 2008 and now, Rs. 15 lakhs have been spent by the entire family. Land worth Rs. 9 lakhs and gold sold at hometown. Rest of the amount was borrowed from friends and family. Savings of son's family are not very high. Further expenses of Rs. 6 - 8 lakhs.